Admire the architecture inside and outside Notre Dame, one of the most famous cathedrals in the world. See the stunning gargoyles on the outside and enjoy fantastic views of Paris. 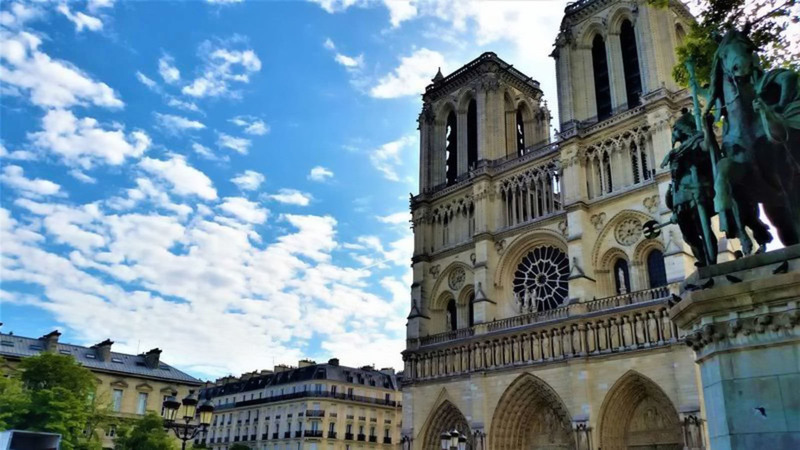 Marvel at a real masterpiece of Gothic architecture: Cathedral of Notre-Dame in Paris. It's a chance for you to admire the amazing gargoyles, the stained-glass, and the rose windows. Cathedral of Notre-Dame has been declared part of the UNESCO cultural heritage in 1991 and it is the most frequently toured monument in France. The expert tour guide will tell you all the secrets of the church, including the legend of the “Hunchback of Notre Dame”. Don't miss the opportunity to admire the city of Paris from the terrace: you will put yourself in the shoes of the legendary gargoyles!